When you hear the words “last,” “minute,” “Halloween,” and “costume” in the same sentence, what comes to mind? The tried-and-true white bed sheet ghost ensemble? Some eyeliner whiskers and a cat ear headband? An old taffeta bridesmaid's dress and a crown you found in the back of your closet (where did it come from? It's an All Hallow's Eve Mystery!) while looking for an umbrella? Well, that is not how one *NSYNCer rolls. 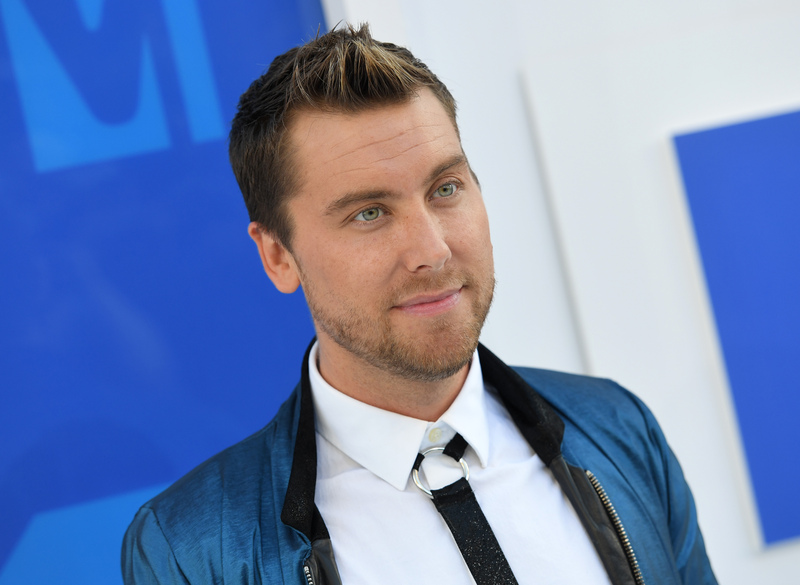 On Sunday, Finding Prince Charming host Lance Bass shared some photos of his Halloween costume— an impressive, imaginative, and ice cold getup apparently didn't come together until the eleventh hour. In the pics, the former boy bander poses with husband Michael Turchin and Joel Schaller, his face, arms, and hair icy shades of blue. He wears a sleeveless checked shirt and bowtie, his clear-rimmed glasses complementing the whole look. So, who is he supposed to be? A brand new character I didn't know I needed, that is who. Wow. What a stunning last-minute 'stume switcheroo. Just when I’m like, “Oh, a Gotham and Oz crossover, that sure is fun,” Bass goes and throws Arendelle into the mix, too. He basically imagined a version of Queen Elsa who isn’t King Agnarr and Queen Iduna’s firstborn, but the child of Elphaba “Wicked Witch of the West” Thropp and Dr. Victor Fries. Wow wow wow. Some people simply wear a Halloween costume; Lanston creates a vivid backstory for his Halloween costume. I don't know about you, but I would watch a movie — nay, a seven-part film franchise — about Elsaba the fashion witch. As Elsaba the fashion witch's dad might say, Bass's last-minute costume change really kicks ice.